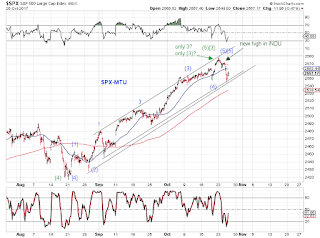 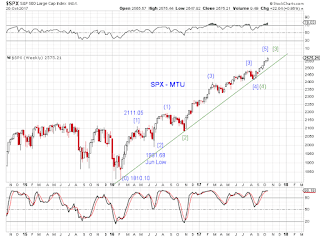 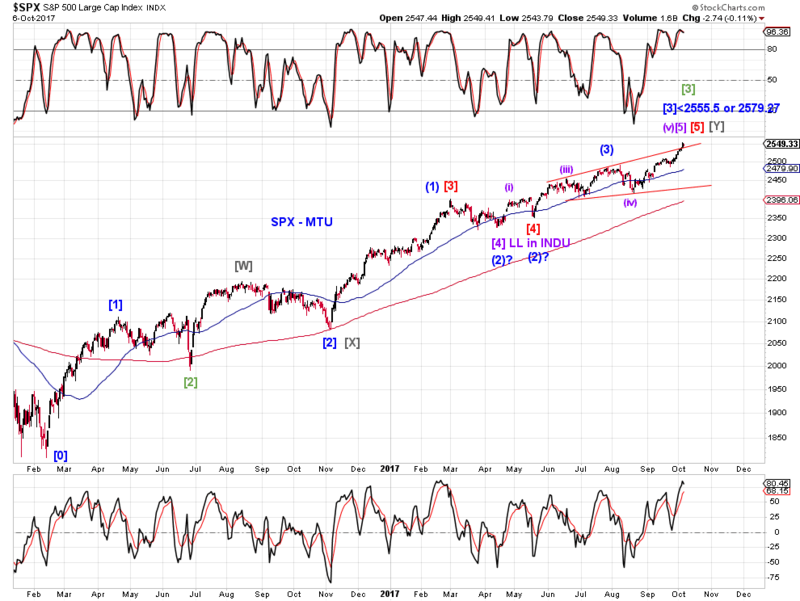 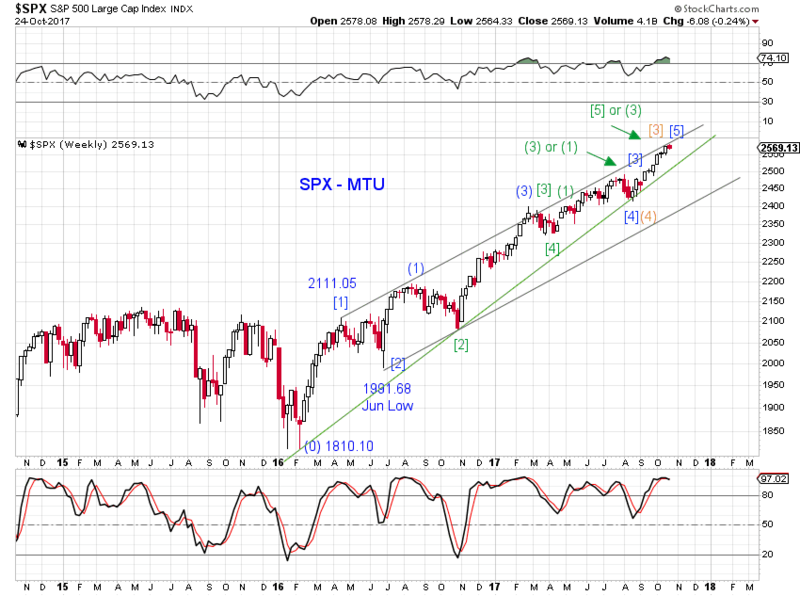 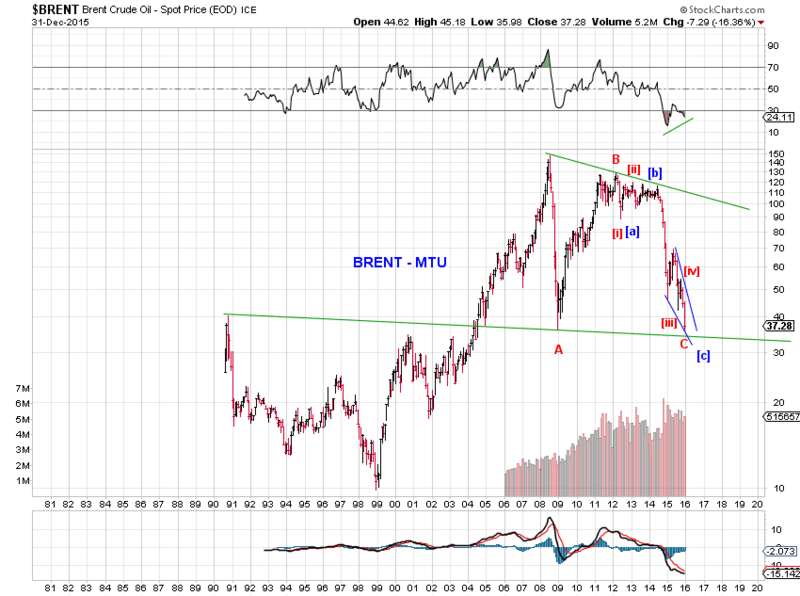 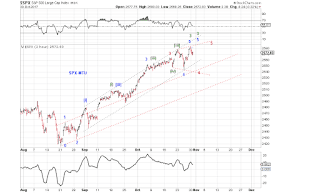 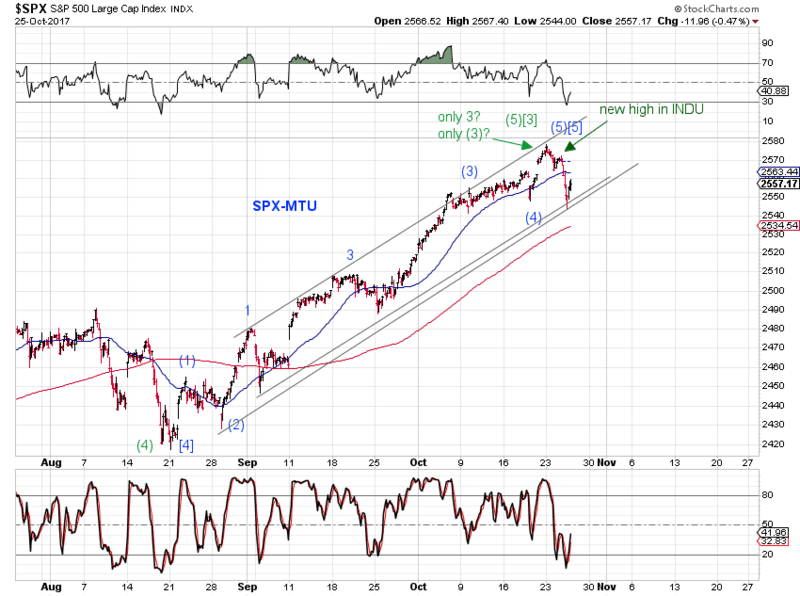 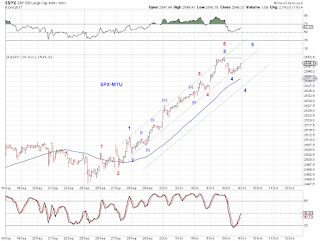 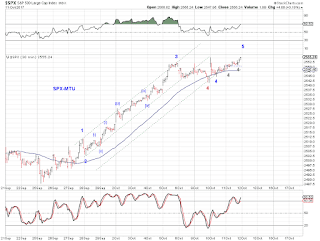 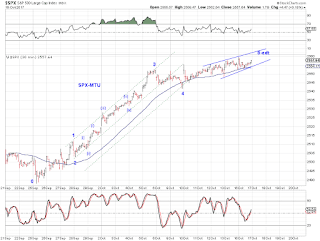 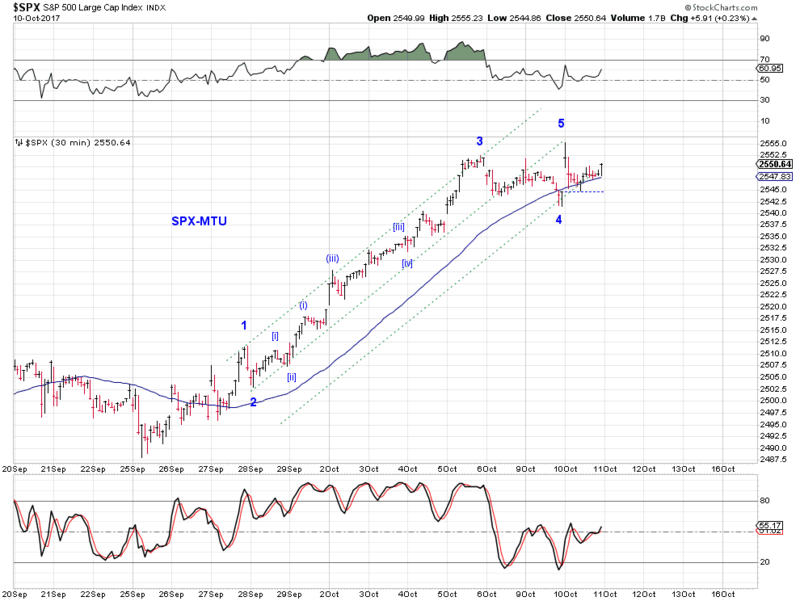 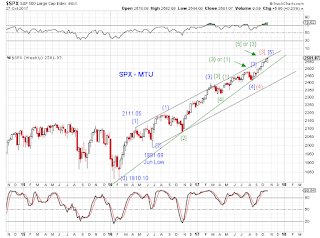 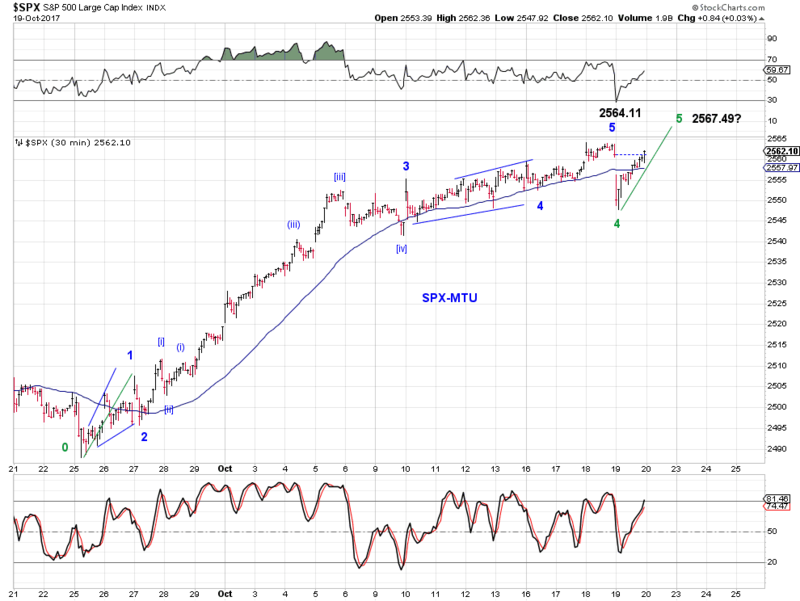 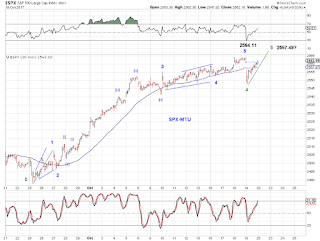 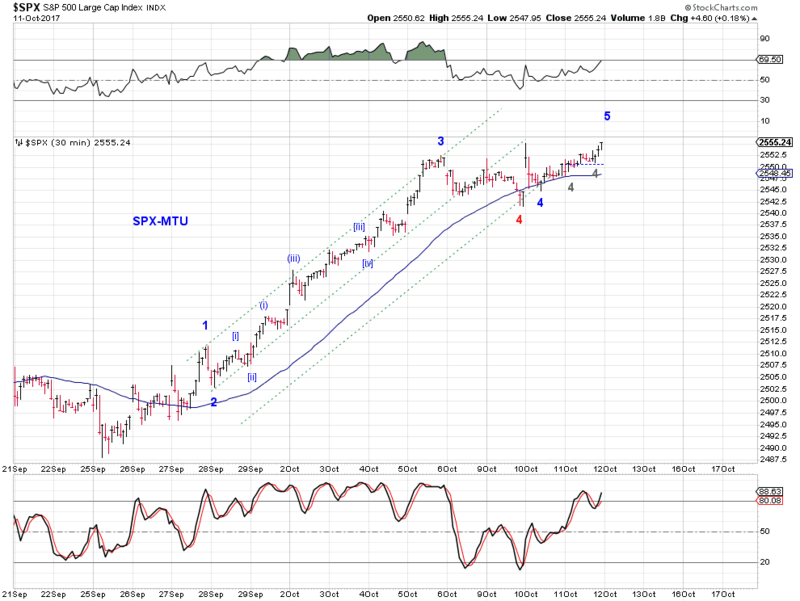 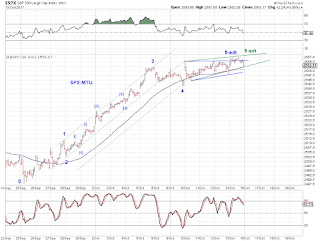 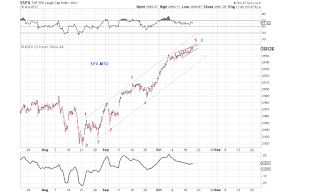 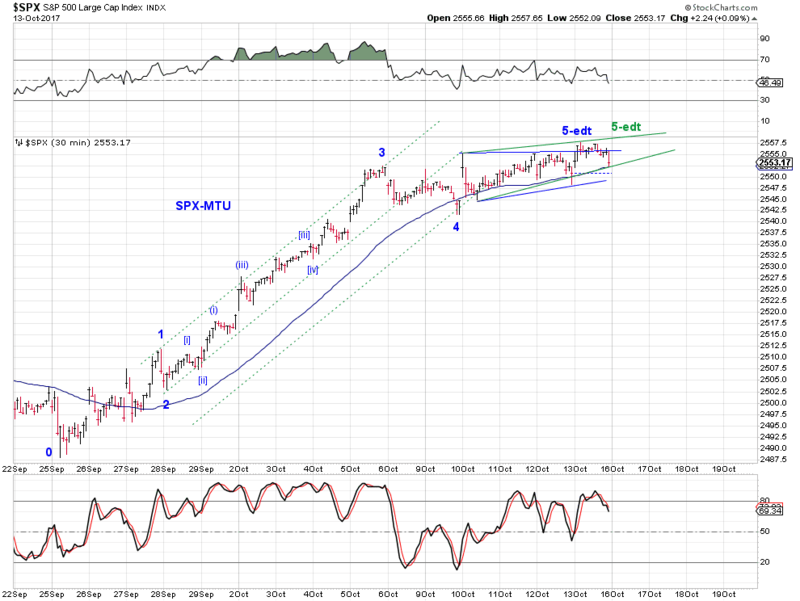 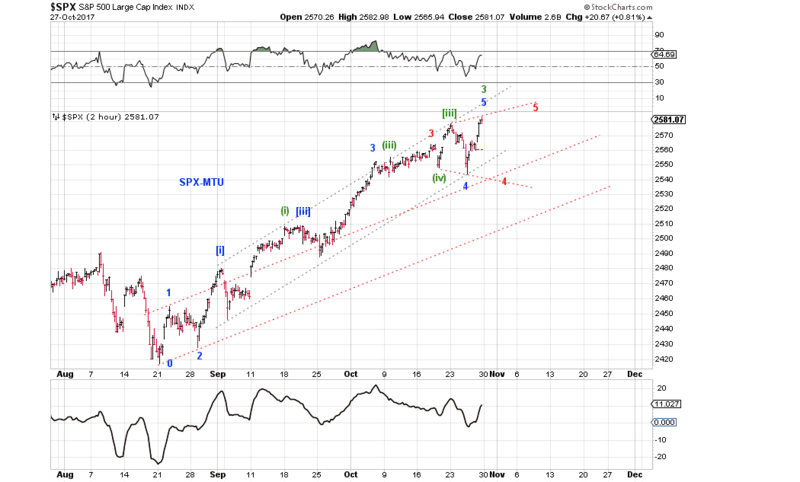 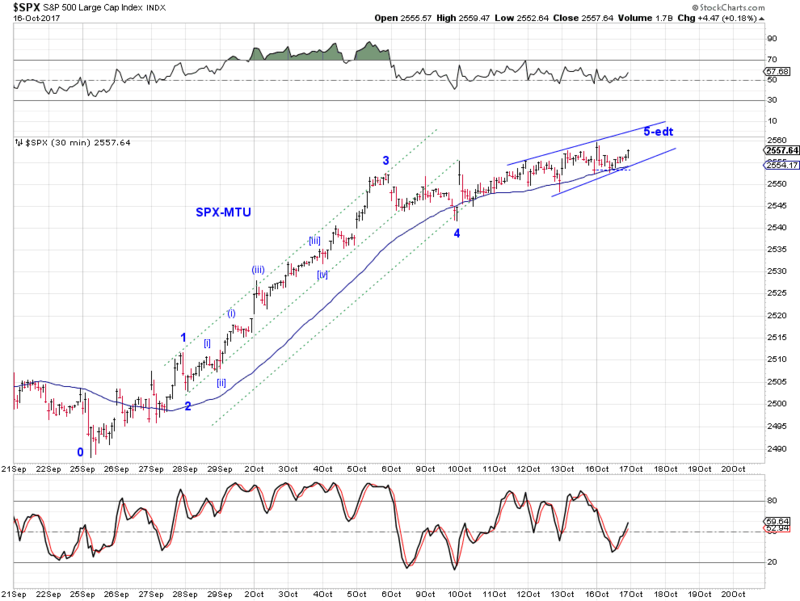 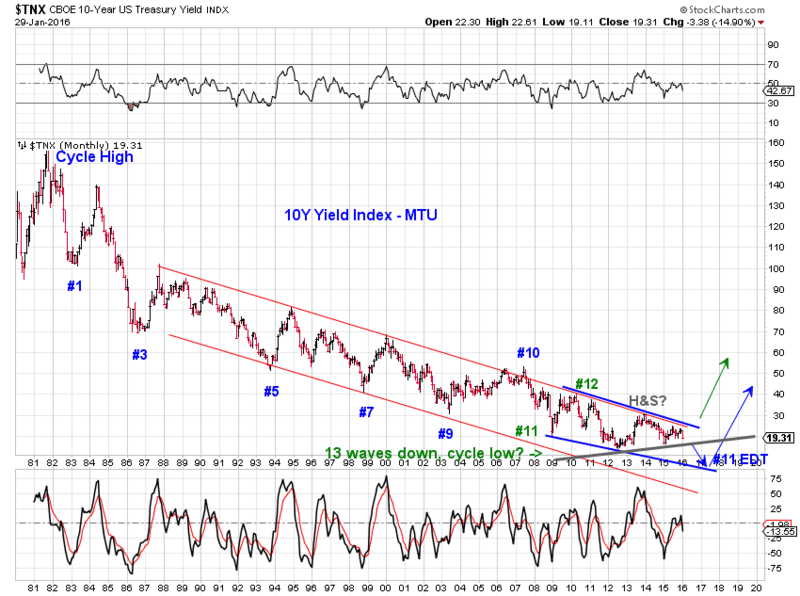 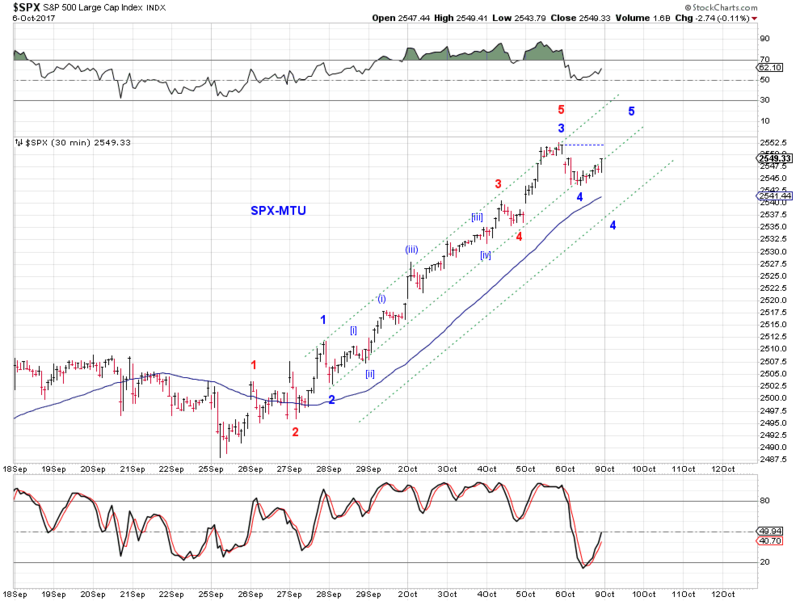 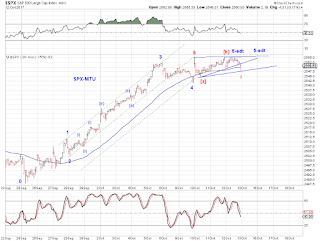 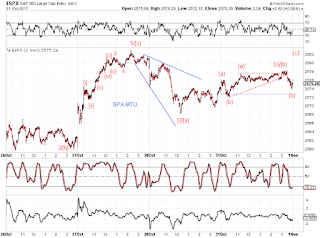 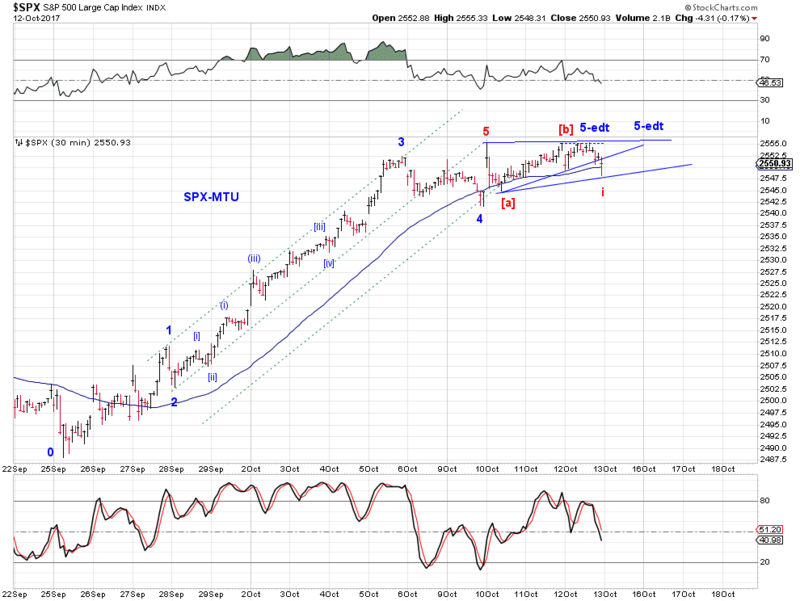 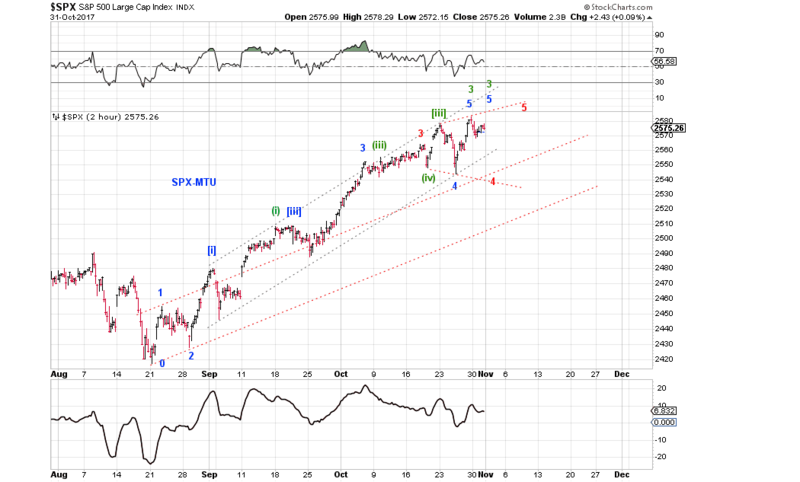 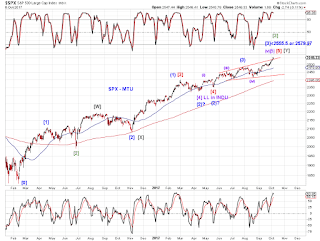 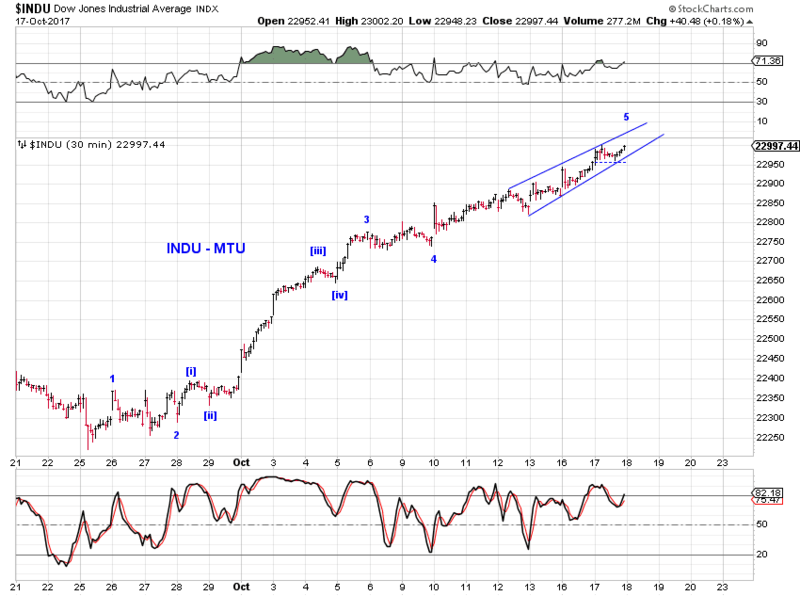 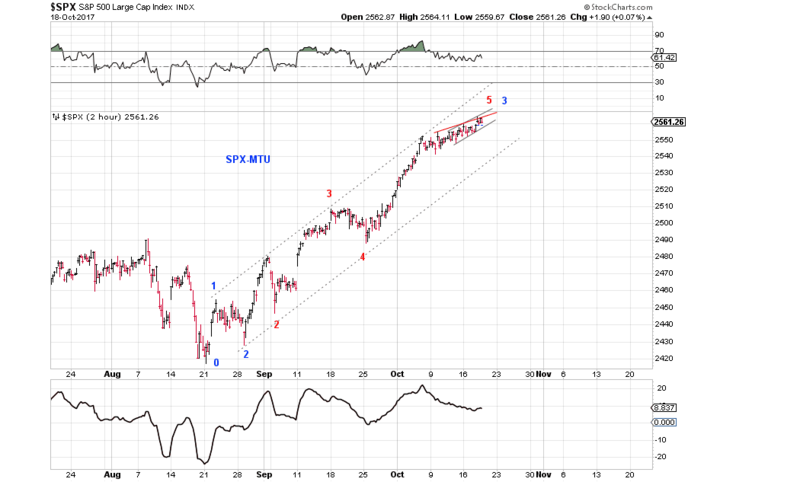 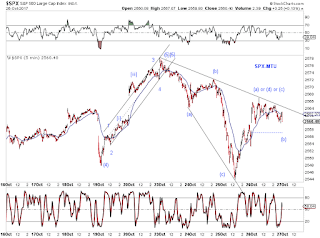 Tracking the conclusion of a potential nine wave up from the Feb 2016 low. 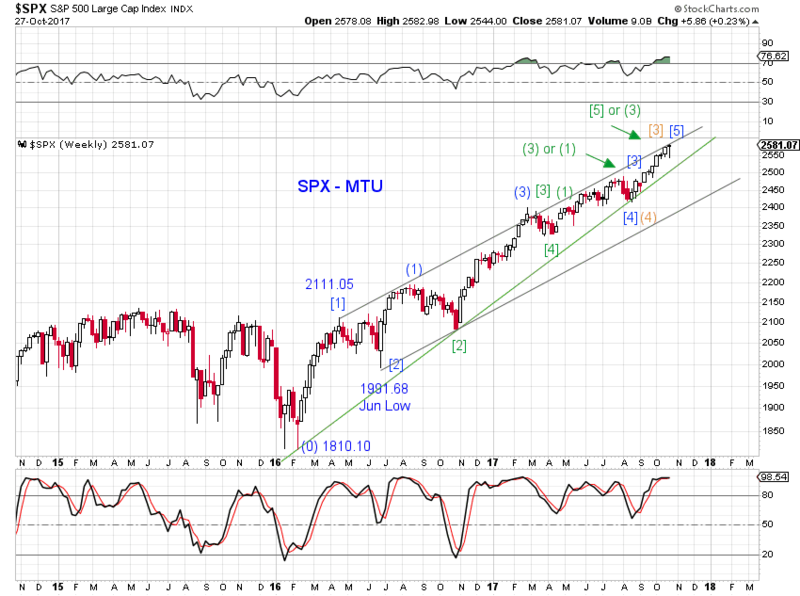 Tracking counts. 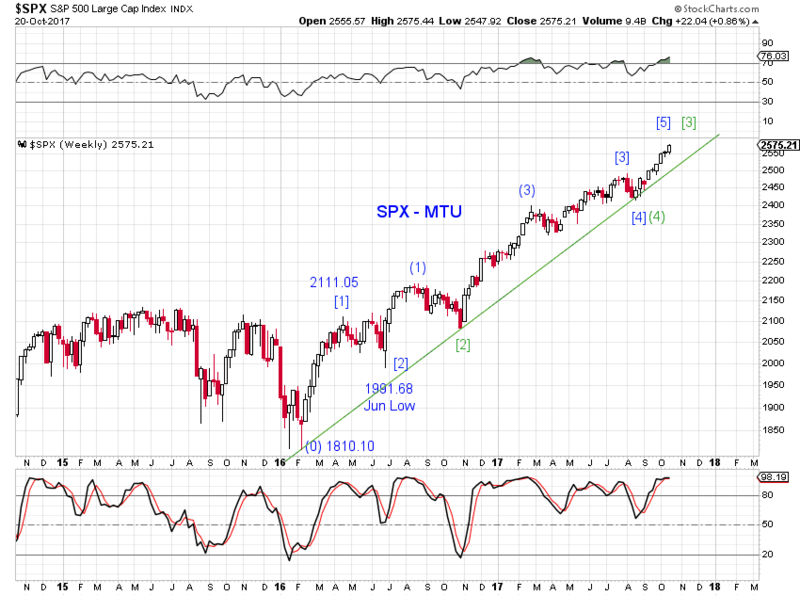 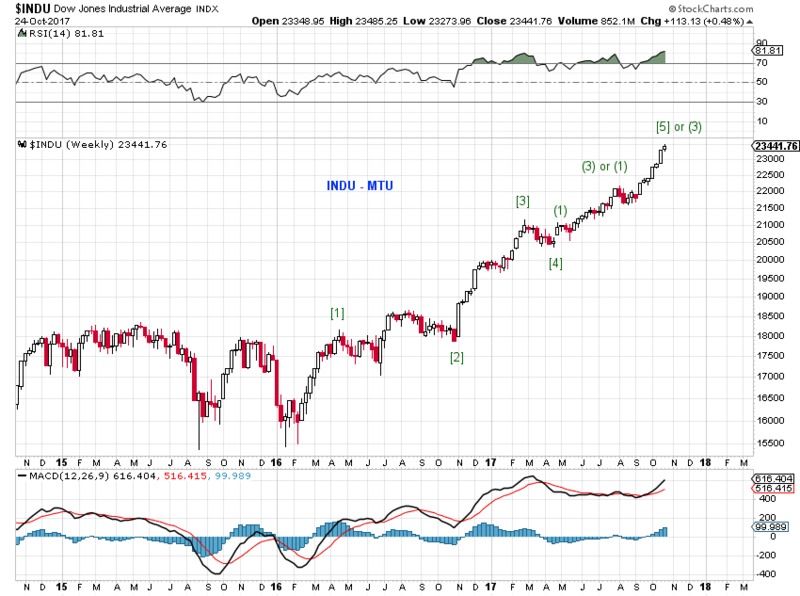 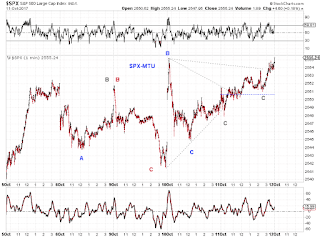 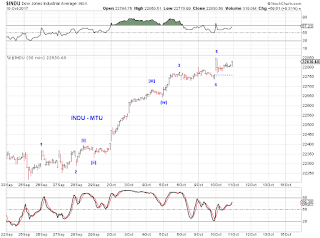 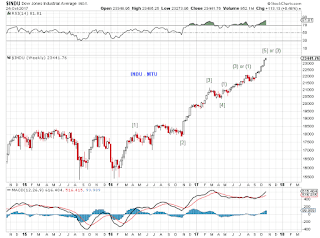 Aligning INDU and SPX. As a follow up on Nine Waves Up ? (10/20/17), today's pullback has the potential to conclude things, barring extensions as marked on the charts. 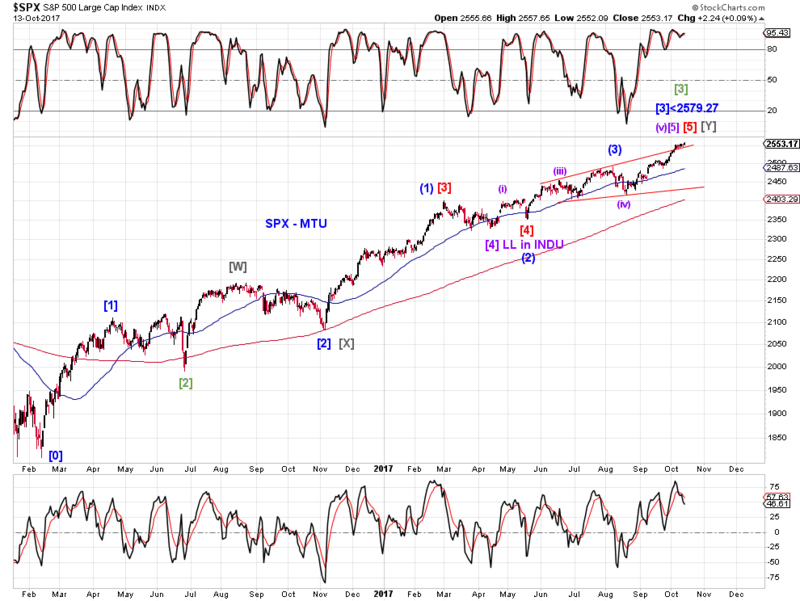 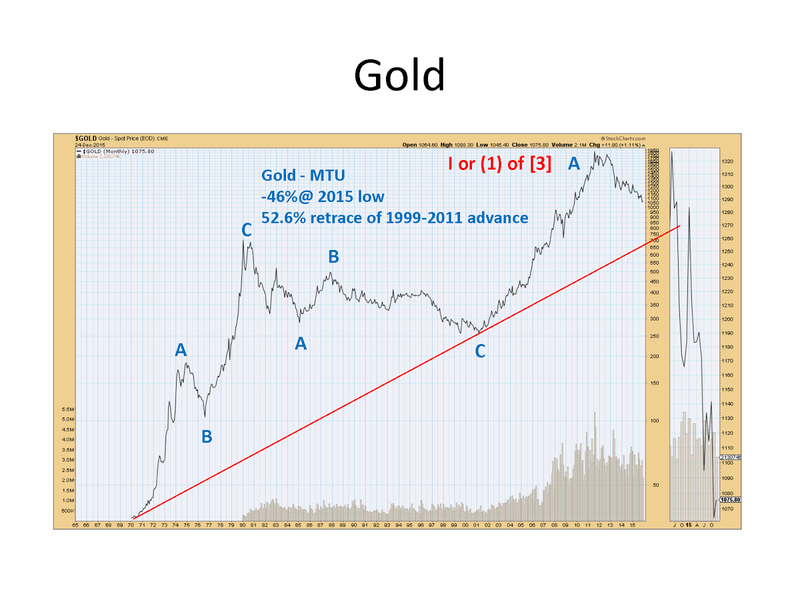 From Feb 2016 Low - Nine waves up ? 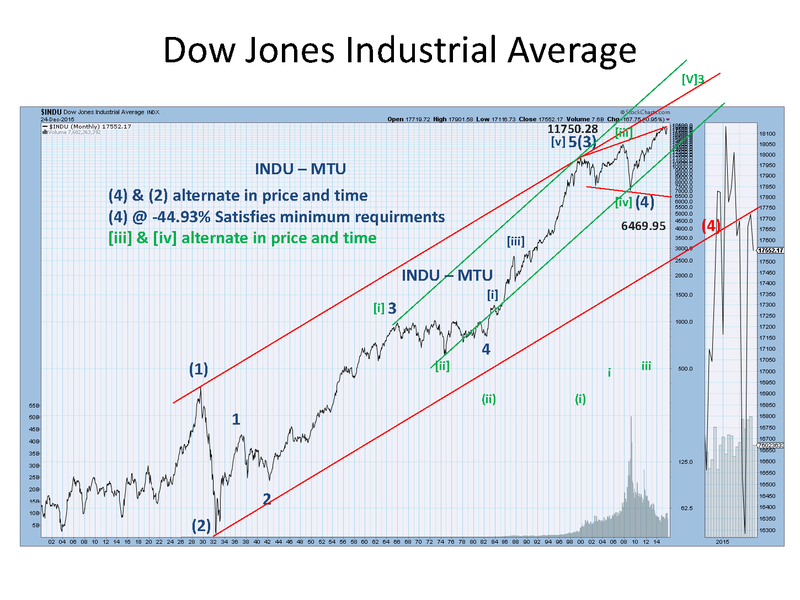 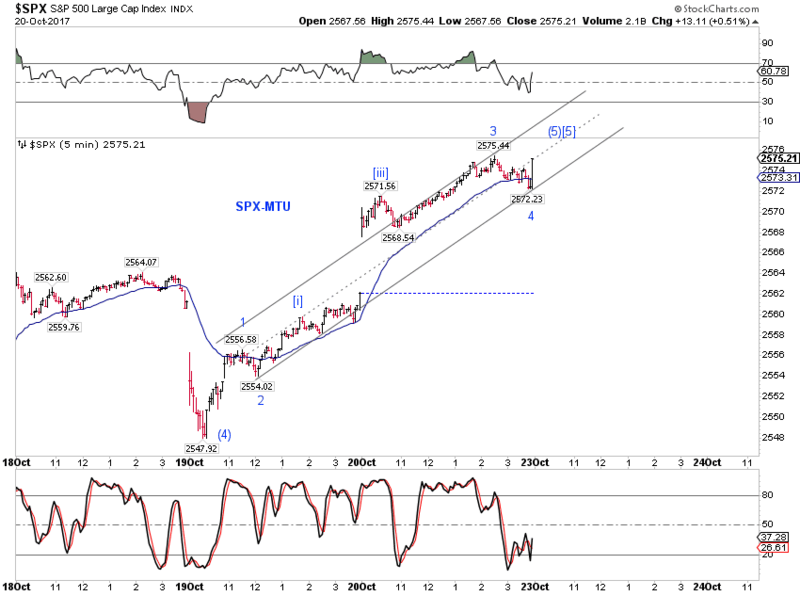 From Aug 2017 Low - Nine waves up ? 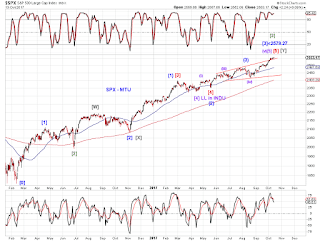 From Oct 19, 2017 Low - Nine waves up yet? 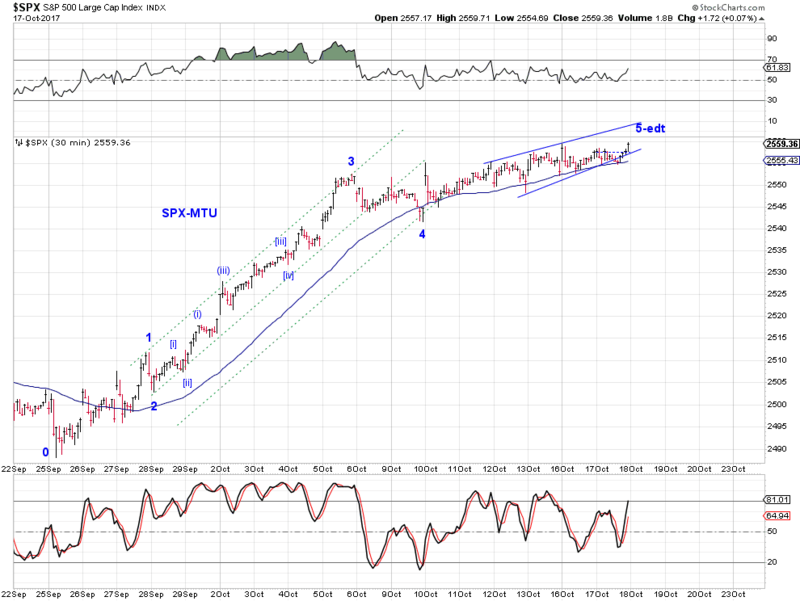 Potential EDTs at a couple of degrees. 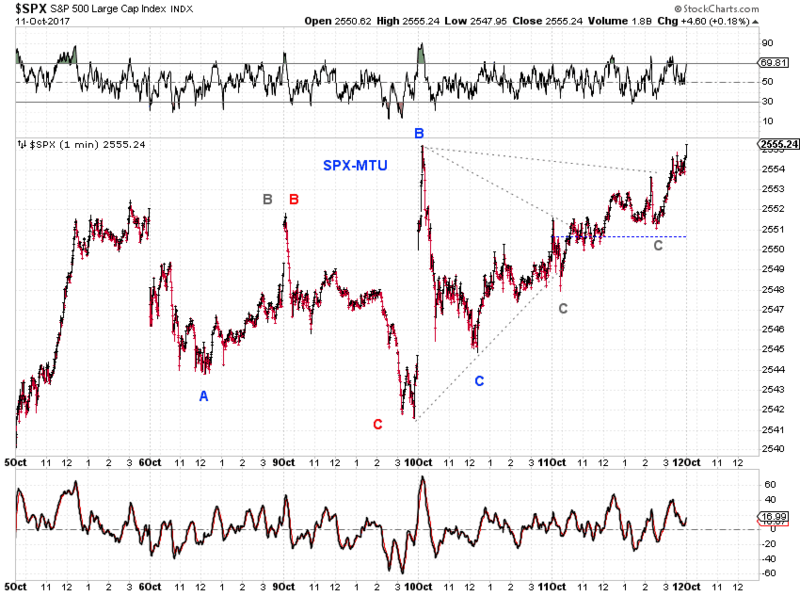 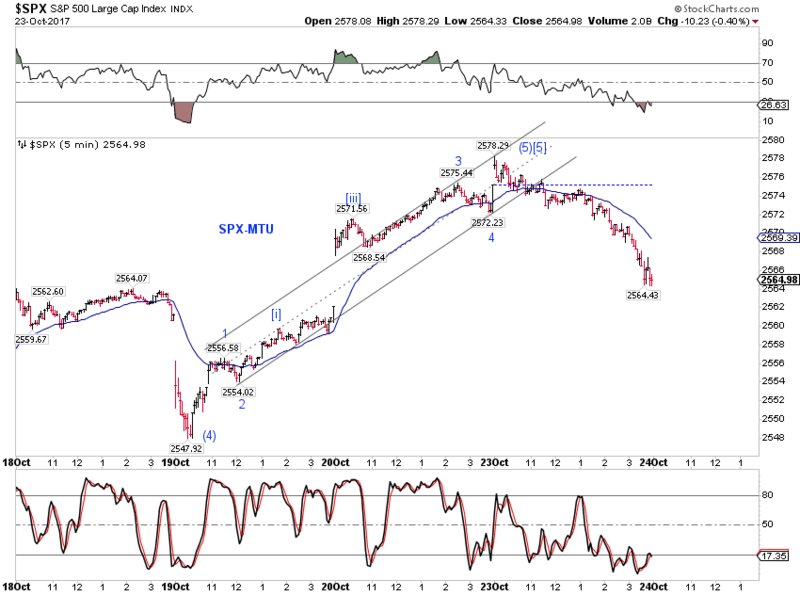 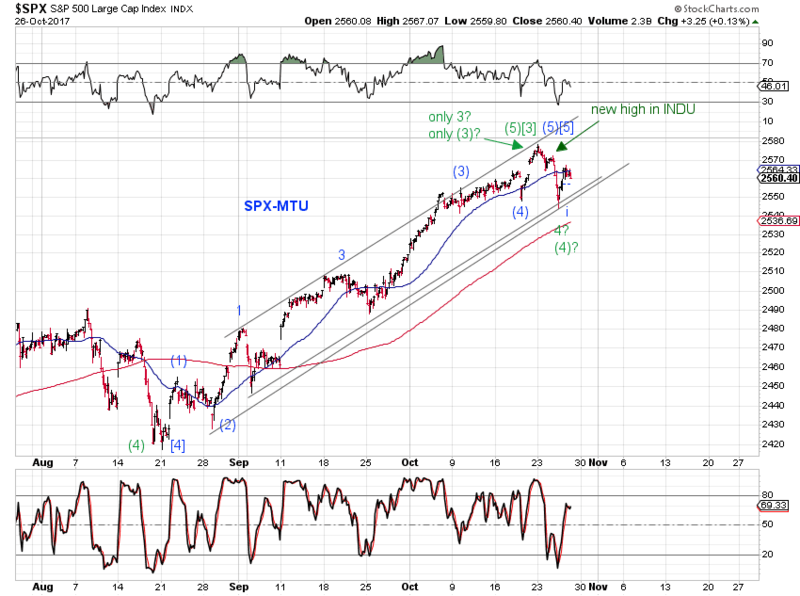 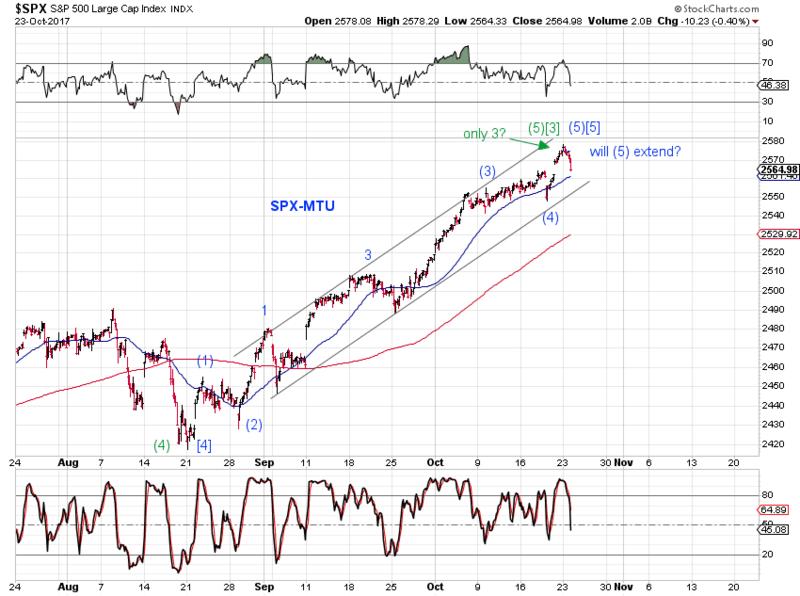 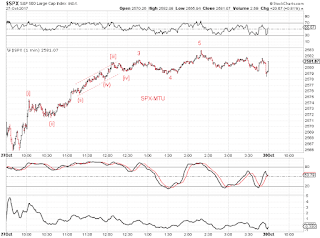 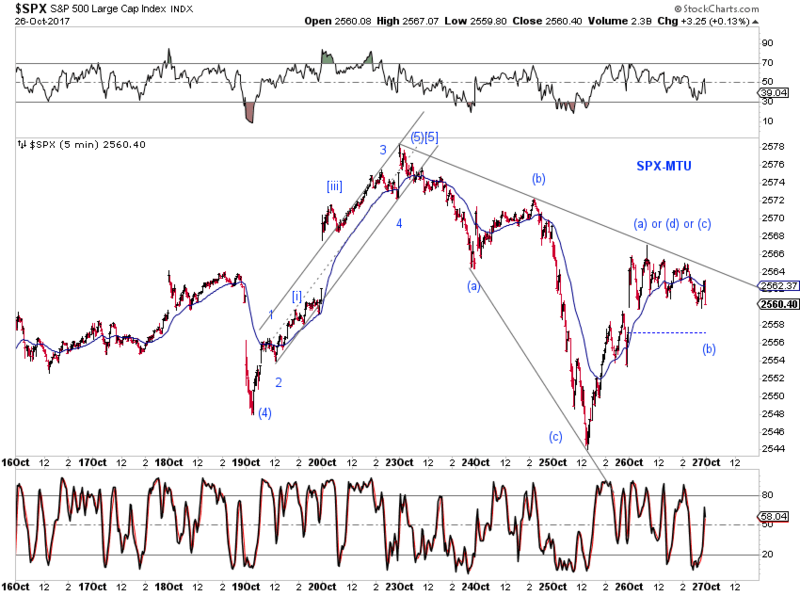 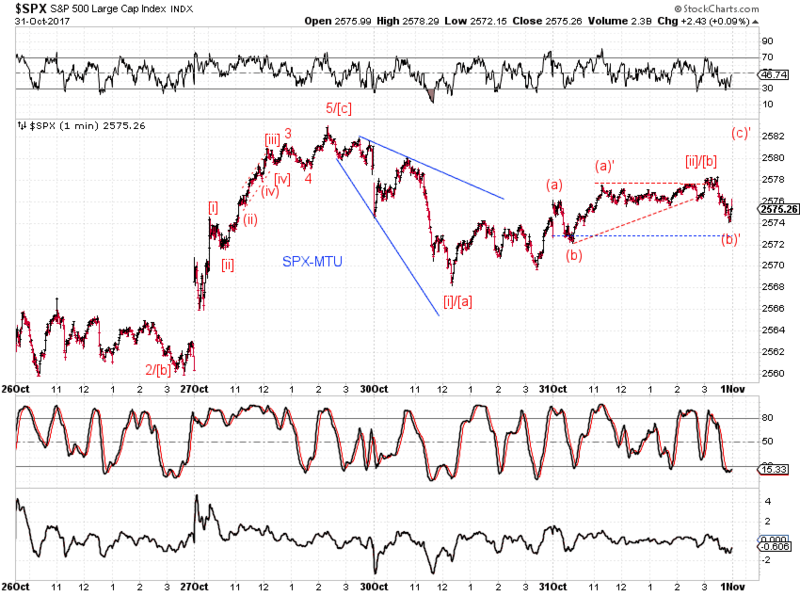 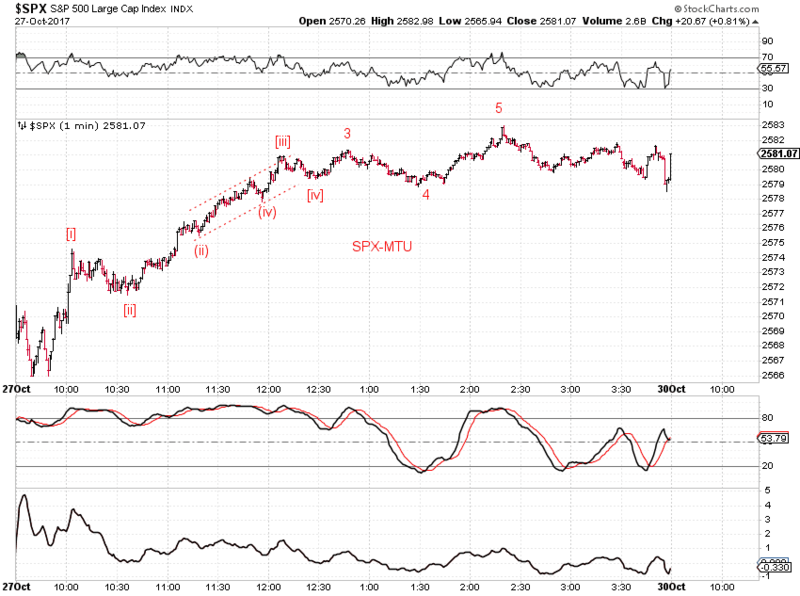 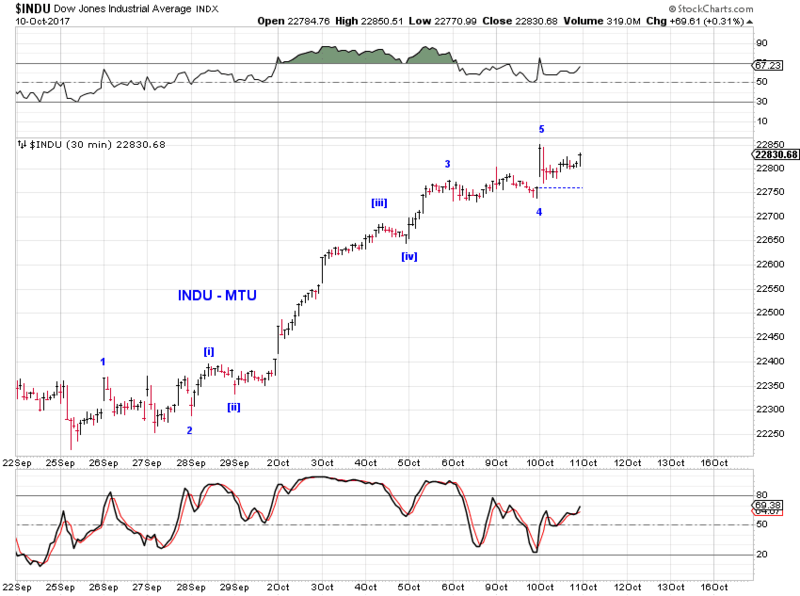 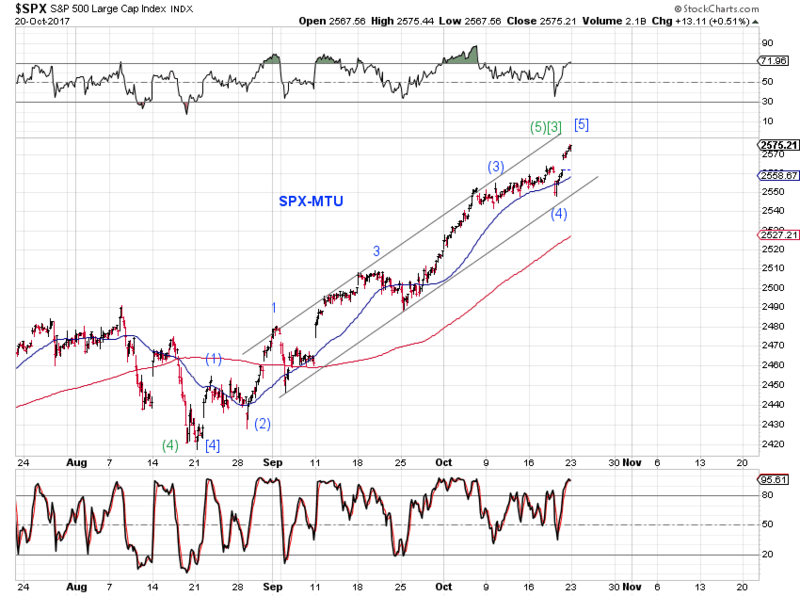 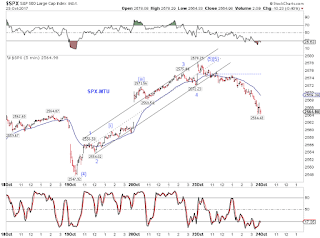 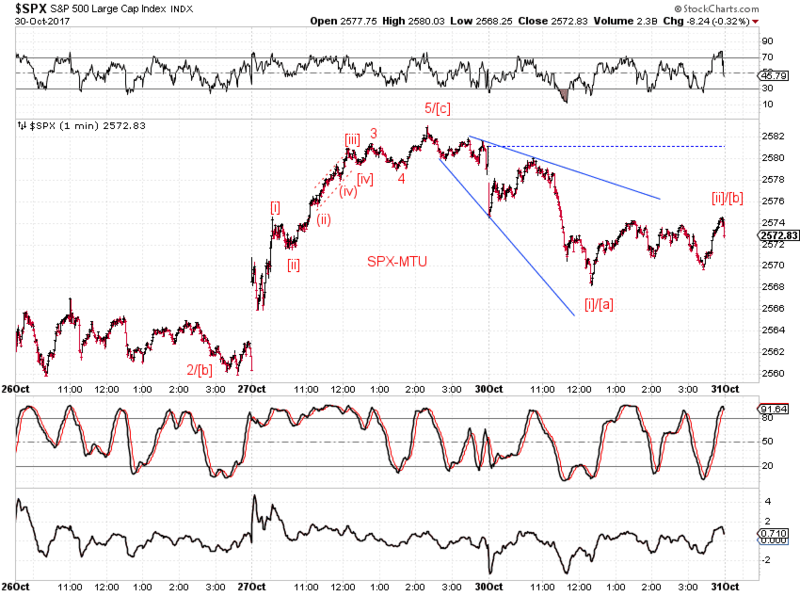 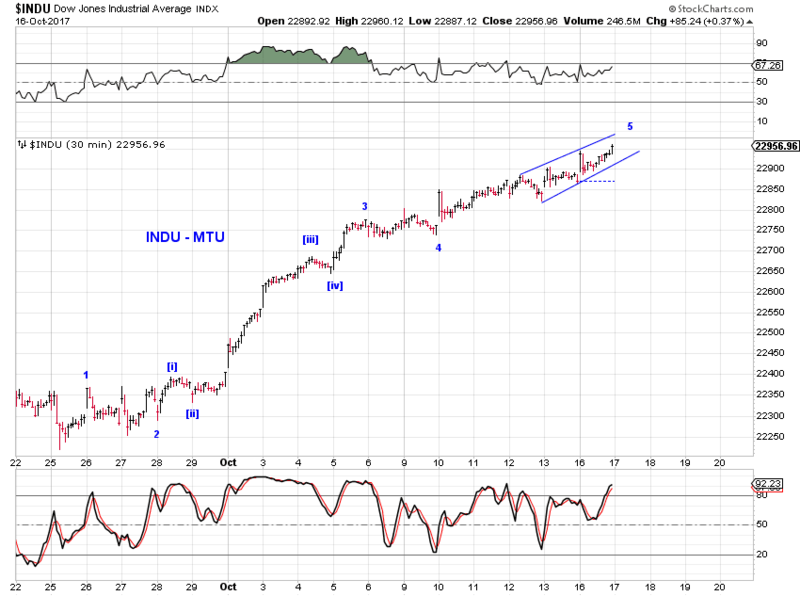 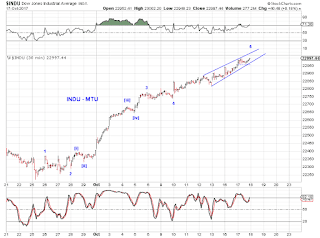 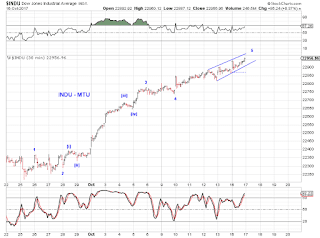 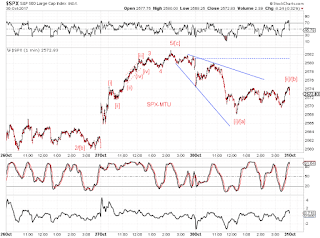 From the Feb 2016 low, if wave  or [X] is the Nov 2016 election night low, SPX is likely to be capped by 2555.5 or 2579.27 near term, to prevent wave three from being the shortest wave. 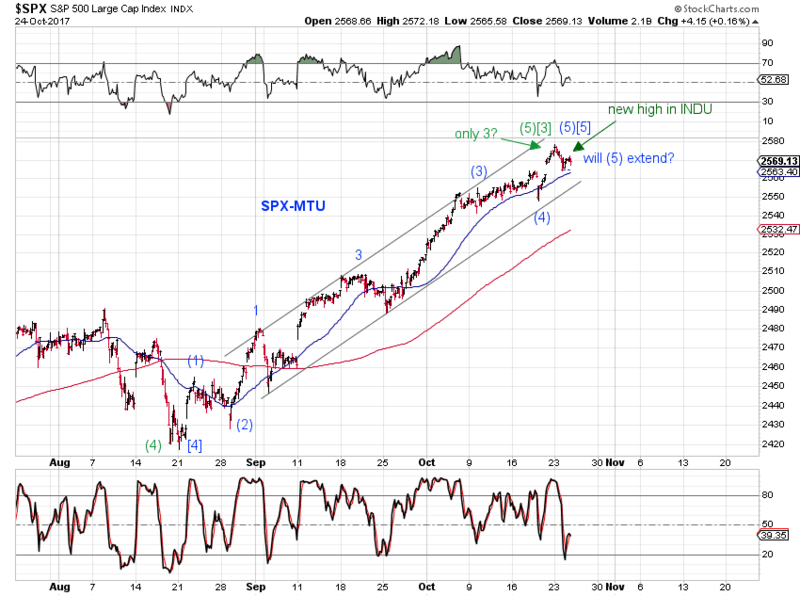 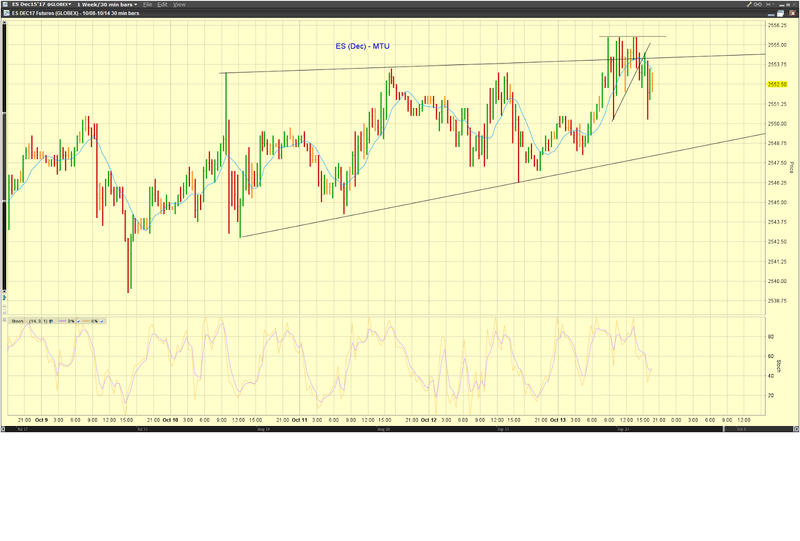 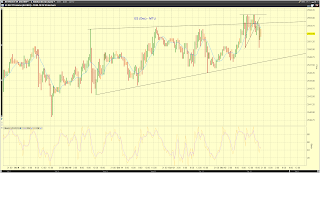 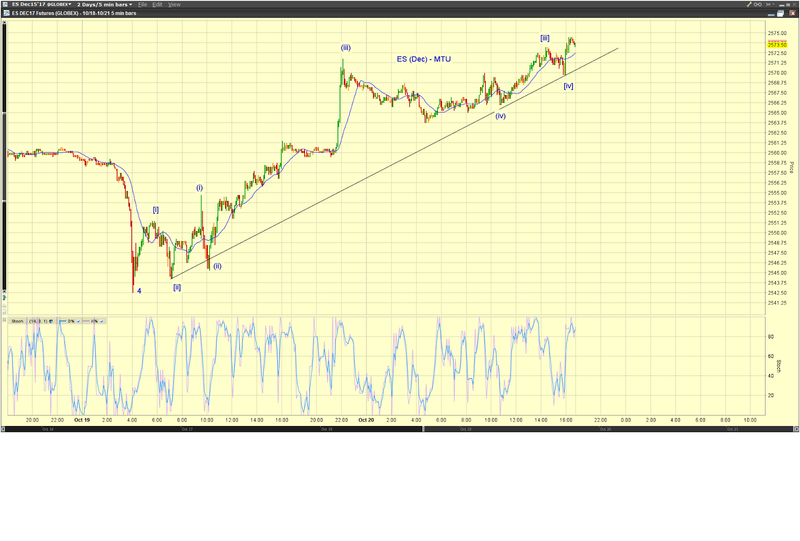 Squiggles on the current upswing.